At today’s sitting, the draft Resolution initiated by members of the Riigikogu Jaak Madison, Artur Talvik, Jaanus Karilaid, Toomas Paur and Martin Helme passed the first reading. It provides that the Estonian state should compensate for the financial damage to the undertakings who suffered due to the VEB Fund. Initiators of the draft Resolution (515 OE) “Determination of the amount, and payment, of the real monetary compensation by the Republic of Estonia for the claims of the customers of the North-Estonia Bank Corporation and the United Baltic Bank relating to the accounts frozen in the former Foreign Economy Bank of the USSR, collected to the National VEB Fund” propose to compensate for the damage on the basis of a formula in which inflation is determined through the consumer price index. 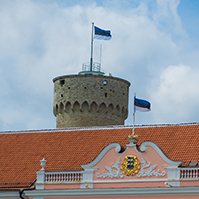 According to the draft Resolution, payment would be effected to the extent of a half of the profit of the Bank of Estonia appropriated into the state budget, until the whole amount would be compensated. During the debate, Jürgen Ligi (Reform Party), Mihhail Stalnuhhin (Centre Party), Mart Helme (Estonian Conservative People’s Party) and Enn Meri (Estonian Free Party) took the floor on behalf of the factions. 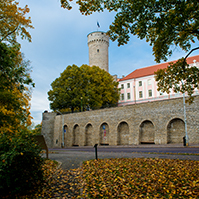 Jürgen Ligi said that the draft Resolution was in conflict with two basic Acts, and the claim for damages against the Estonian state was unjustified. 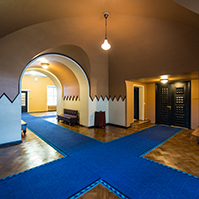 Mihhail Stalnuhhin expressed support to the draft Resolution and proposed to extend the range of the recipients of the compensation, and to include specific amounts, instead of the formula, in the draft Resolution. He added that he could see no possibility of the Resolution on the compensation coming into force already the following year. Mart Helme said that the draft Resolution had a moral dimension and it was intended to get justice done. Enn Meri said that the Free Party supported the draft Resolution in principle, but the compensations paid should remain symbolic. 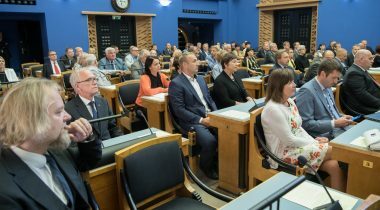 The Riigikogu rejected at the first reading the Bill on Amendments to the Public Holidays and Days of National Importance Act (618 SE), initiated by members of the Riigikogu Krista Aru, Maire Aunaste, Monika Haukanõmm, Ain Lutsepp, Enn Meri, Martin Helme, Laine Randjärv, Artur Talvik, Liina Kersna, Helmen Kütt, Henn Põlluaas, Uno Kaskpeit and Raivo Põldaru. It was intended to make the day of national importance, 14 March, Mother Tongue Day, a public holiday. 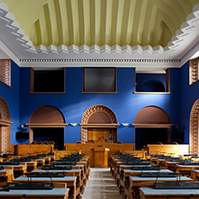 In the opinion of the initiators of the Bill, the amendment would have valued the people and, through them, the Estonian language. 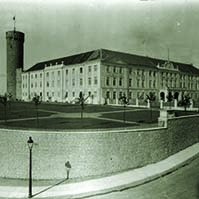 The Constitutional Committee moved to reject the Bill at the first reading. 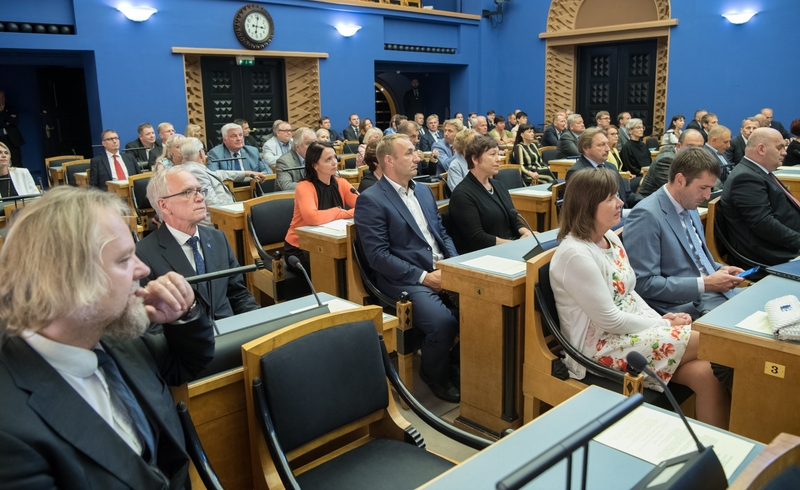 37 members of the Riigikogu supported the motion, 12 were against and there was one abstention. 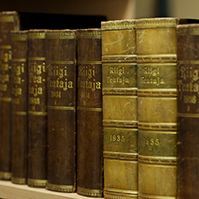 Thus the Bill was dropped from the proceedings of the Riigikogu. During the debate, Toomas Jürgenstein (Social Democratic Party) and Mihhail Stalnuhhin (Centre Party) took the floor.